As of June 3rd, 2016, the Walker Coffee Trading team has brought on a new member – Robinson Mutiso. 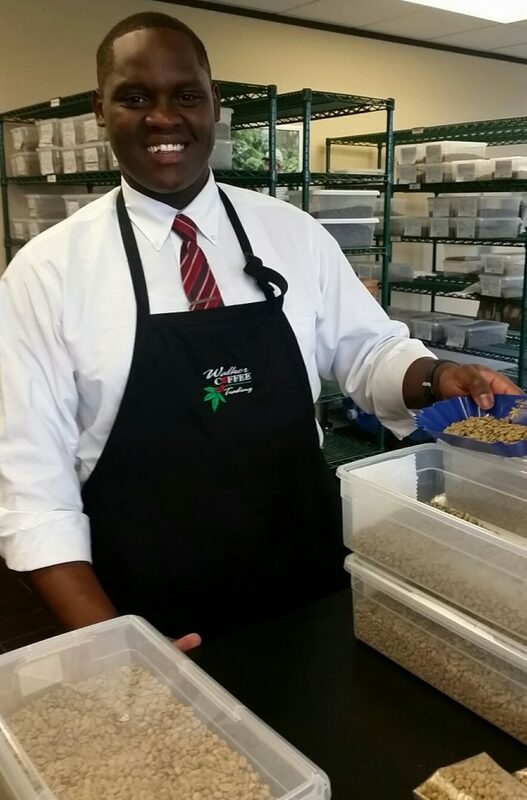 Robinson comes to Walker from Kenya with a strong family background in the coffee industry. He is currently working on familiarizing himself with our coffee inventory, cupping and roasting alongside our Q-certified graders in our lab. Robinson will aid in expanding our growing distribution business to small and medium-sized roasters. With a winning smile and an eager personality, our newest addition to the sales team will fit in perfectly, adding to our already diverse group of personalities at Walker Coffee Trading. If you are planning on attending Coffee Fest Dallas this weekend, stop by Booth #207 to say hi to the newest member of our team! Next Next post: Remembering Warren Muller, Sr.